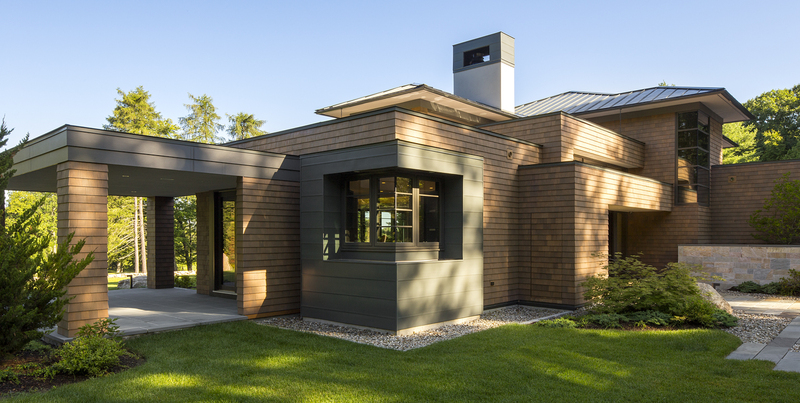 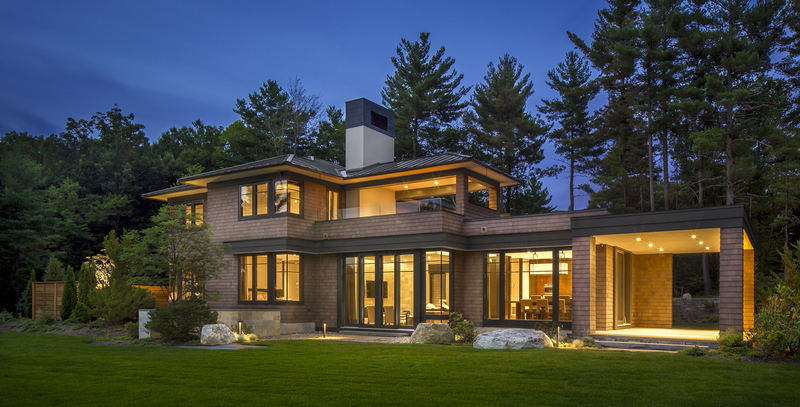 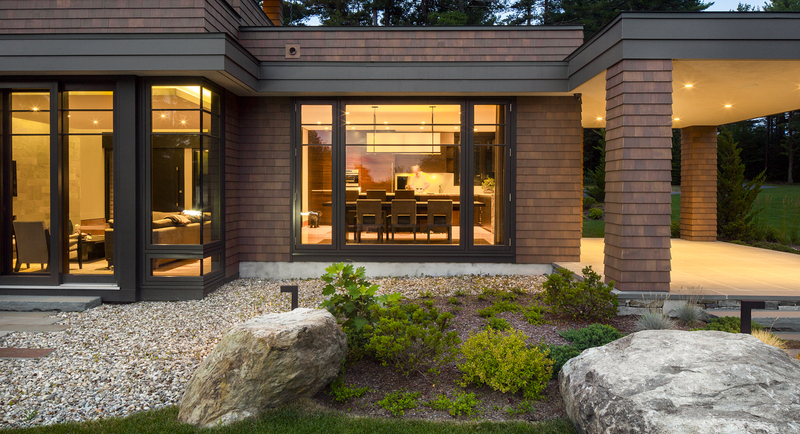 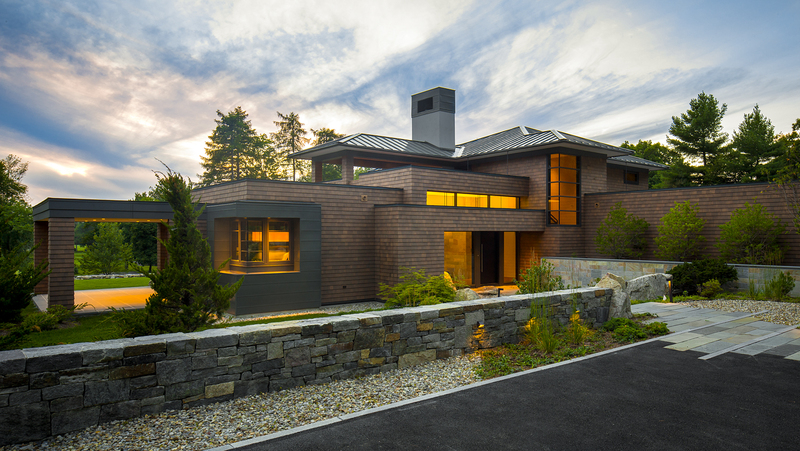 The William J . Masiello design team worked closely with the homeowner to conceptualize and design a new residence that reflects his desire for a tranquil New England home. 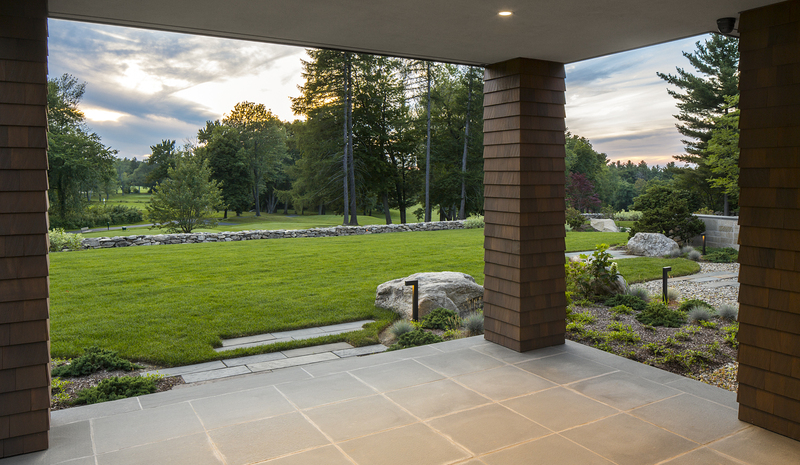 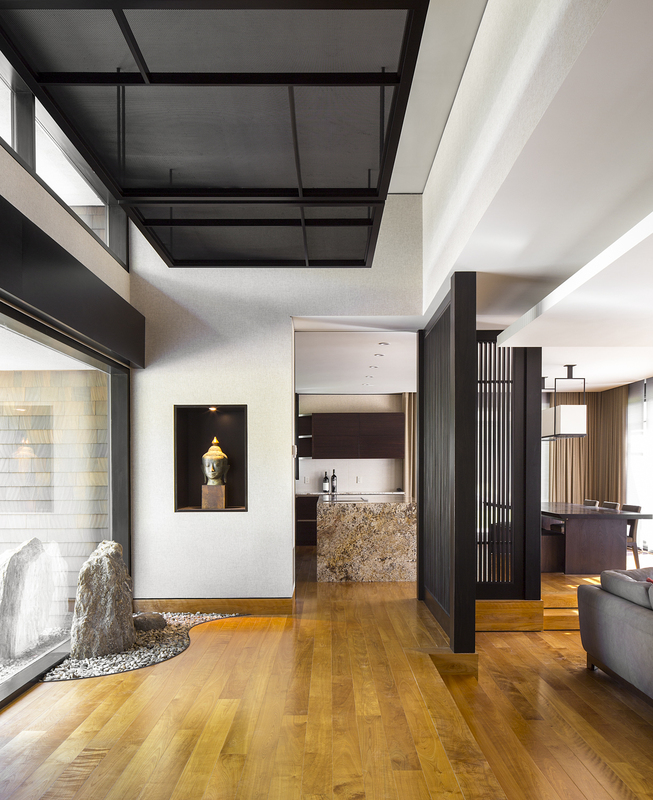 This elegant sculptural home is located along a prestigious award-winning golfcourse that reflects his lifestyle and intense passion for art.